i baked with pumpkin. therefore, it is autumn. granted, it may still be august, but i was just ready…ok? our new upstairs neighbor gal moved in this week, so the fella and i wanted to bake her a “welcome to the ‘hood” treat. i know she loooooooooves the caribou pumpkin spice latte, so i headed to pinterest and searched for “pumpkin cupcake” – imagine my surprise when one of the first search results was actually a pumpkin spice latte cupcake from annie’s eats! 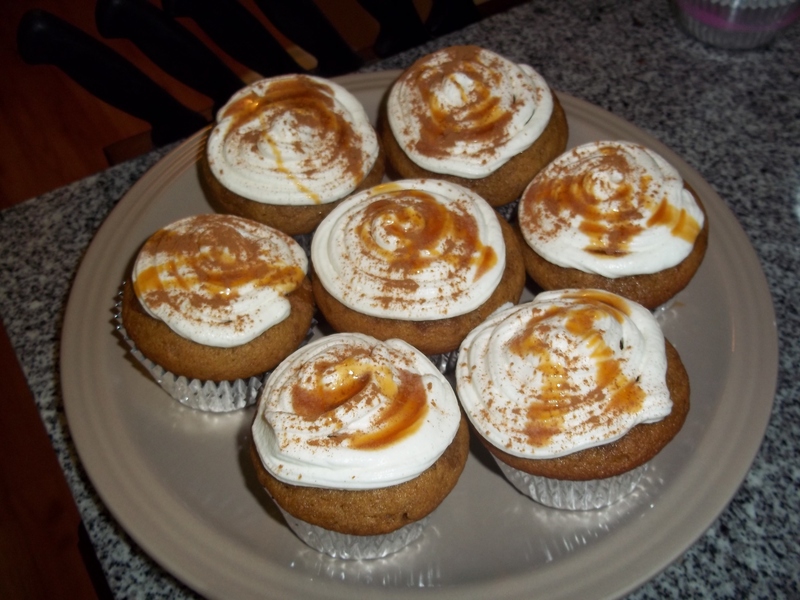 it’s a basic cupcake recipe that she tweaked to mimic the drink, complete with coffee brushed on top and a whipped cream frosting with cinnamon and caramel drizzled on top. so yeah…they are pretty amazing. i couldn’t find espresso, so i poured a little brewed coffee into the batter. with the first batch, i didn’t brush much coffee on the tops and you couldn’t really detect the coffee flavor. on the second batch, i was a little more heavy-handed and could just barely taste a hint of coffee. i have never made a whipped cream frosting before and i have to admit, i was a little doubtful that over 2 cups of liquid and just 1/4 cup of powdered sugar would actually make a frosting. i was excited to use the whisk attachment on my mixer and lo and behold…it actually turned into frosting! i think i could have whipped it some more because it was pretty fluffy and i couldn’t really get it to look how i wanted, but it tastes great! and it’s perfect for this recipe since it mimics the whipped cream on a pumpkin spice latte. the fella picked up the groceries for this recipe and bought caramel syrup instead of sauce, which didn’t work great but tastes just fine. a little too runny at room temp, so i put it in the fridge and waited til morning to put it on the second batch and that was a little easier to control. 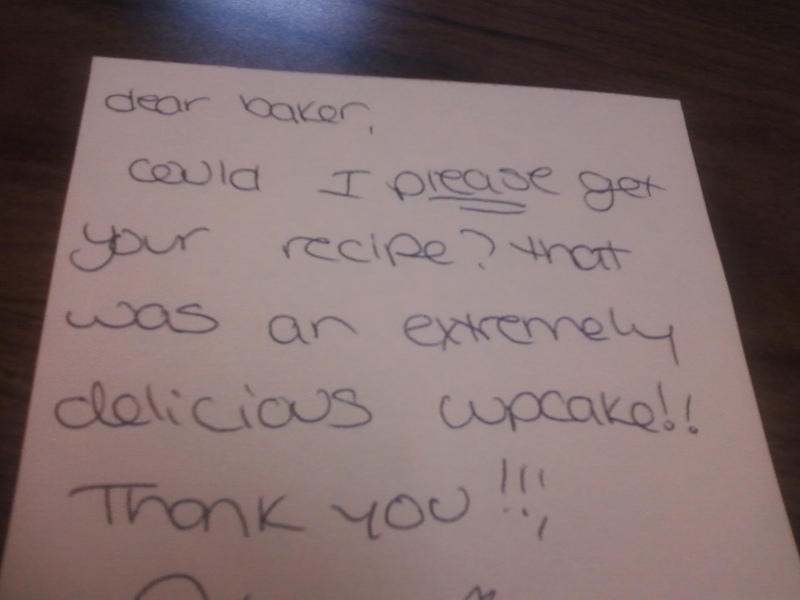 This entry was posted in Baking and tagged autumn, baking, cupcake, pumpkin, pumpkin spice latte. Bookmark the permalink.